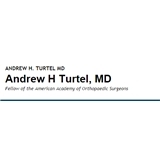 Andrew H. Turtel, MD (Brooklyn) - Book Appointment Online! Doctor was very experienced in the field of my injury which is sports medicine and shoulder injury. He was understanding of my ongoing circumstances and was able to expedite the process involving diagnosis and scheduling. Great courteous professional staff and almost no wait to see the doctor.